I joined a new group on Facebook Writers Authors and Readers, administered by the wonderful Anna Maria Shenton, and met a whole host of kind and supportive authors. Jane Risdon was one of them. Knowing she was launching a new book, I invited her over for a chat so you can meet her and learn more about her writing as well. Hello Wendy, thanks for asking me to chat with you on your blog. No problem, lovely to have you here to share more about your writing. I never plot. I have an idea, possibly from a name which comes to mind, or an experience will trigger something, possibly a news item – whatever – and I will sit down and start to write. It comes from the ether I guess. If I get a name, the story often comes with it and it writes itself. I usually write Crime/Thrillers but with Only One Woman (Women’s Fiction), the way the book came about is different. Christina Jones – my co-author – and I are old friends. We share a past. My now husband was a lead guitarist with a band in the late 1960s, and Christina was employed as their Fan Club Secretary. We’ve always wanted to write together but never got round to it. I moved house in 2012 and was looking through memorabilia from my husband’s band and also from musicians we’d subsequently managed during our career in the International Music Business. I came across fan letters, photos, old diaries, and touring schedules etc., and thought I’d write a story set in the late 1960s. I was going to write a crime story but it turned into more of a romance and about life back in the Swinging Sixties. Christina is a Romance author and so we’d found the perfect way we could write together. This time I sat down with diaries for reference and the names came quickly for my creations – Renza and Scott – and from then on it wrote itself as usual. When I’d done with my part, I passed the baton to Christina and she wrote her character, Stella. I rarely change tack, but I do edit as I go so before I begin writing I always go through the previous days writing and tweak. But no, I don’t think I’ve ever changed anything basic, except that I decided to make Only One Woman a romance and to leave all the dead bodies for another day. I love that it is the muse that inspires you, Jane. Not really. I like to sit down with a cup of tea. Sometimes I need liquorice to nibble, but mostly I just decide to write, and off I go. Tea sustains me. Clothes don’t matter. Often I have the BBC News on in the background or my husband plays his guitar, song-writing or messing about beside me as I write. He is the first to read it all, and gets to comment as I go along. Wow! That is a question. You’d have to ask ‘himself,’ who knows me so well. I guess I am curious and always anxious to learn. I love reading, walking, photography, astronomy, history, architecture, science, music – you name it. Curiosity I guess makes me tick. In order to write better Crime stories I’ve undertaken 7 Forensic Science and Criminal Justice Courses to that I am up-to-date and accurate with my bodies, crime scenes and investigations. I am that curious! I too love learning. It’s handy for research but it has a joy of its own. I would need access to the internet via a computer. A good supply of liquorice. Radio with a great signal. My husband with his guitar. Cripes! I have no idea. I love books, I am surrounded by books and I have no idea which I could pick if forced. Perhaps the full set of Encyclopaedia Britannica to help my research when writing. Having spent most of my life working in the International Music Business I have had dinner with many famous people. Frankly, there are few people I could stand for that long, but I suppose – if dead folk count – Einstein, Stephen Hawking, Sir Patrick More, and living at time of writing, Professor Brian Cox and Doris Day. Goodness me, now you are for it! I have three books (to date) in my MI5 Officer series, Ms Birdsong Investigates, almost ready to go to my publisher – actually book one is in with them but they are not publishing anything new until the winter, and so I have time to complete the other two, possibly more in the series. For some time I have been writing about Bollywood and the Indian Mafia – The White Haired Man – based on real life. I must get back to it when time permits. There’s also a novel about the Music Business and our life working in it, but again that has been started but time has been short due to the promotion etc., of Only One Woman. This book was entitled LaLa Land a long time before the movie came out with the same name, so I guess I need to think of a new one. The response to Only One Woman has been amazing, fabulous reviews and a solid fan base has emerged, and they have been asking for a sequel. So ideas for this have been floating around my head, even as I was writing my parts for the current novel, I was thinking about a sequel. I am not sure if Christina is up for it as she has her own books for which she has a huge following. 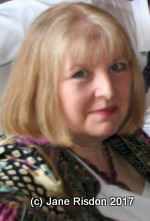 She is an award-winning, best-selling author of romance and has deadlines to meet. And, as I said, our publisher is not taking anything which has not been scheduled until winter. Christina has a book which has to be finished soon for a September publication deadline. Our publisher has not mentioned a sequel to Only One Woman so who knows! It would be fun to take Narnia’s Children, Renza, and possibly Stella, beyond 1969 and tell the story of their lives as the band become famous, perhaps to the present day. Only One Woman is not only a love triangle, but an authentic representation of life in the grooviest decade of the 20th century with the Cold War, social changes, the amazing music and fashions of the era, and the way it all shaped the lives of not just our characters, but a whole generation. My Generation. 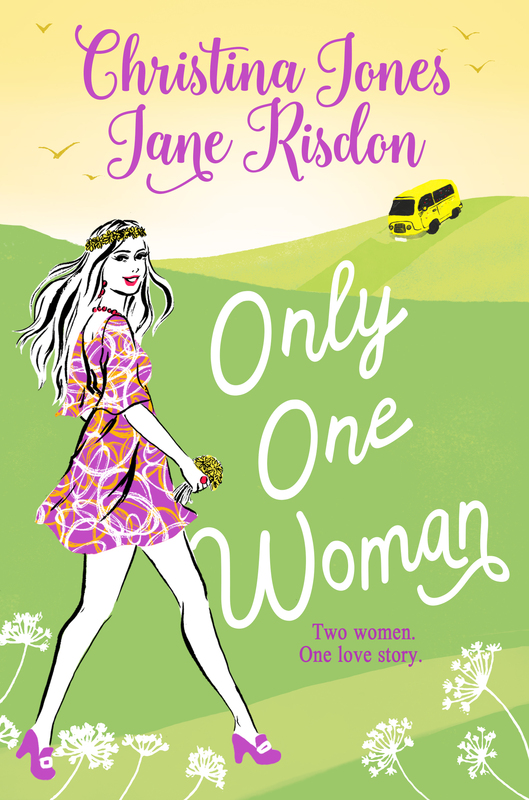 Only One Woman is published in Paperback and Audio Book on 24th May 2018 for stores and libraries. It sounds like a busy year ahead, Jane but I wish you good luck in all your endeavours and thank you so much for dropping by. Thanks so much to Wendy Steele for hosting me today, it was fun and I am still worrying over which books I’d take to a desert island. It is always fun doing these Q&A interviews and I hope you enjoy them too. Lovely to learn more about Jane. I am also sustained by tea and drink lots of it when I write. Terrific interview and good luck Jane with all the WIPs. Thank you Wendy. 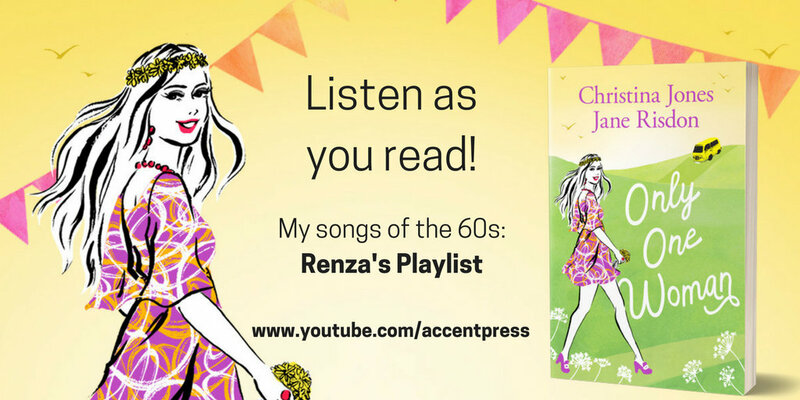 Check out this great interview with Jane Risdon from this post on Wendy Steele’s blog.